Stuffed with today’s hottest name brand toys and games! Approximately 90% Licensed and Name Brand Toys. Includes raffle items: hanging kit, 1000 entry blanks, raffle box and two window posters. If you have large order, are shipping to Hawaii or Alaska, have multiple shipping addresses or would like to create a custom program, please contact us for special pricing and shipping options. 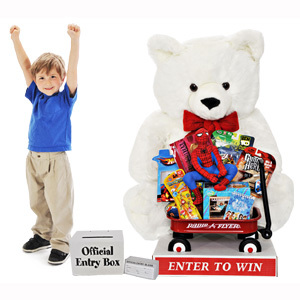 Filled with toys that have been selected to appeal to both girls and boys ages 4 -10 years. 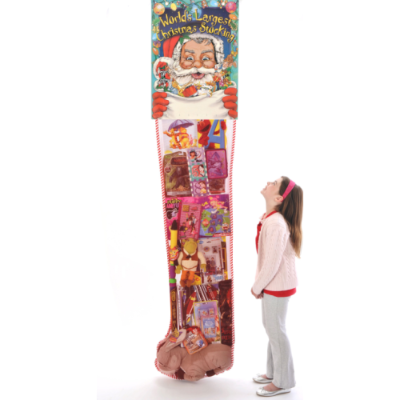 Measures 8ft from top of header card to stocking toe. 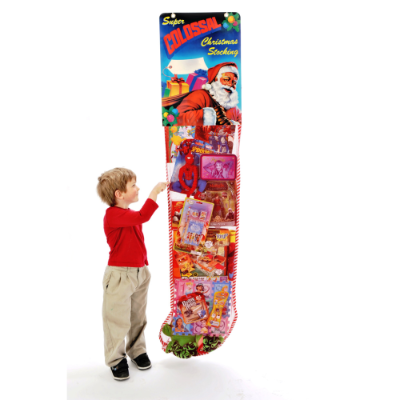 Be the first to review “Christmas Stocking With Toys – 8 Foot Deluxe” Click here to cancel reply.